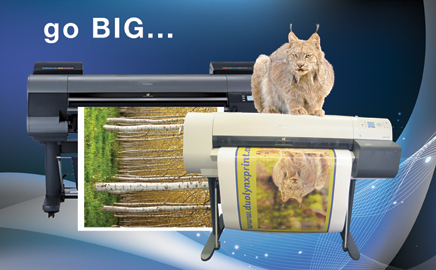 We offer a professional, fast, dependable reprographic service for our busy large format clients. We copy, scan or print full colour architectural and black and white plans up to 36 inches wide by anything. We have an array of media: from coloured bond to our water resistant poly paper and a variety of glossy or matte poster paper stocks – whatever your project we’ve got it covered. Our twelve pigment ink* Canon 8300 fine art colour system enables us to offer the most exceptional , stunning output. With full CMYK or RGB output, the colours are true to the original artwork and on screen proofs. We have a wide array of media available from 100% cotton canvas to acid-free watercolour paper – we make your reproductions like originals. Does your business need a fresh look to the outside world? Are you wanting to class up a bland reception area? Duolynx meets all your indoor and outdoor signage needs with professional advice, expert installation services and fair prices.